Can’t take the heat? Put solar shades in the kitchen (that’s how that saying goes, right?). We have a few window treatment suggestions that are perfect for one of the busiest, messiest (no judgments) rooms in your home. You may be thinking, “Wait – aren’t all window treatments good for the kitchen?” Well if you’ve ever fried a chicken cutlet near a silk drapery or roman shade, you’d know the answer to that question is a resounding no. 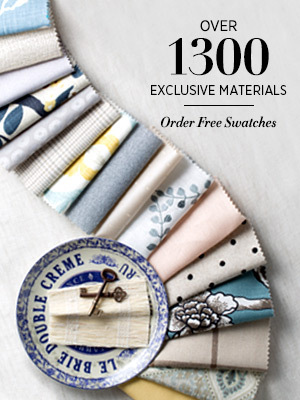 You may recognize Chilewich from their unique textiles and designer placemats. The easy-clean nature of their materials translates perfectly to the window, making them ideal for areas close to sinks and stoves. Splash damage from water or grease? No problem for these wonderful weaves! A simple wipe with a damp cloth is all it takes to clean your shade. These materials also have light filtering benefits, which will reduce incoming heat from the sun. 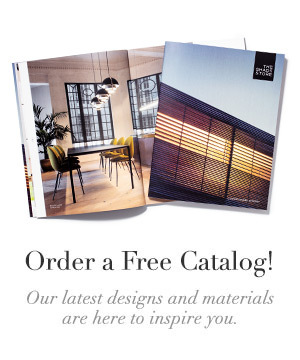 Visit our solar shade page to see our Chilewich line and more than 60 additional beautiful solar shade looks – all great for your kitchen! 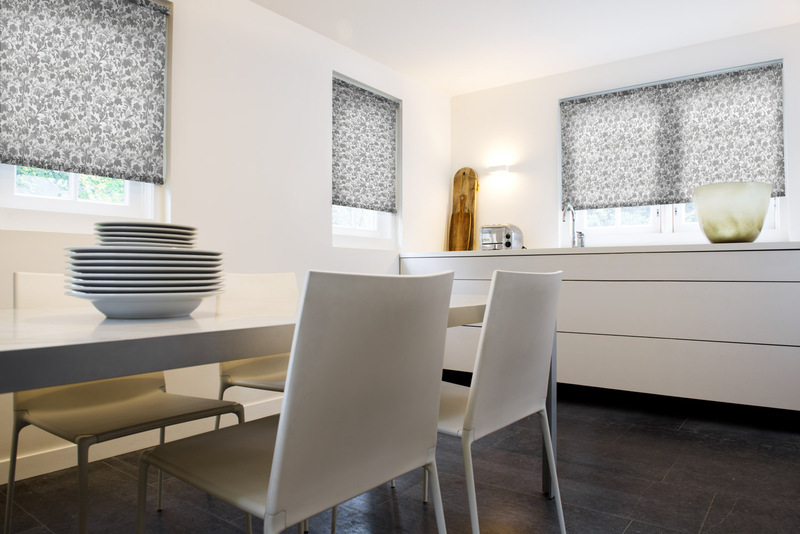 Similar to solar shades, roller shades are unobtrusive and easy to clean. If you’re design sensibilities skew towards bold and beautiful, you’ll find more audacious prints and patterns here than you will with solar shades. A variety of light filtering and blackout materials are available as well, making it easy to strike the perfect balance between natural light and privacy. Warp resistant? Check. Mildew resistant? You bet. These are some durable blinds! Perfect for the high-traffic areas of your home, faux wood has a reputation for withstanding anything you can throw at it – including the kitchen sink (please don’t throw your sink). 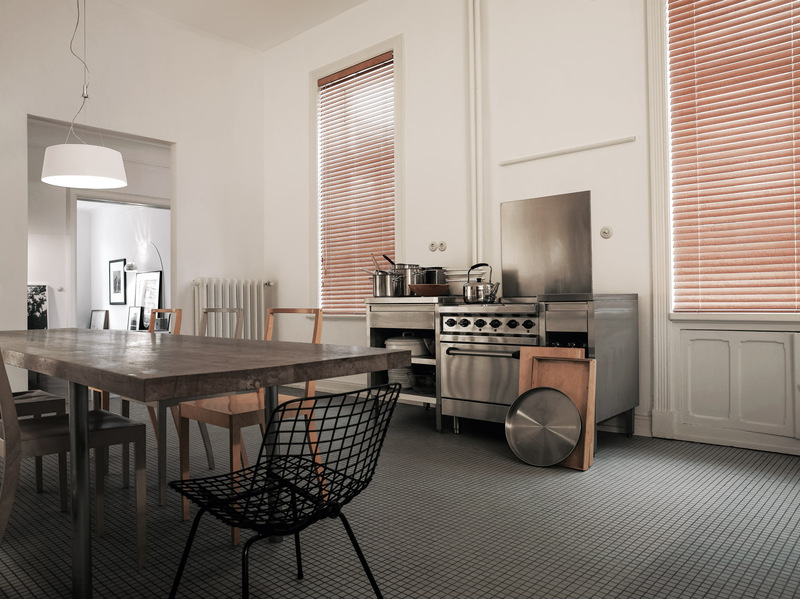 Next time you’re cooking up something yummy in your kitchen, get as messy as you want – these blinds can take it. 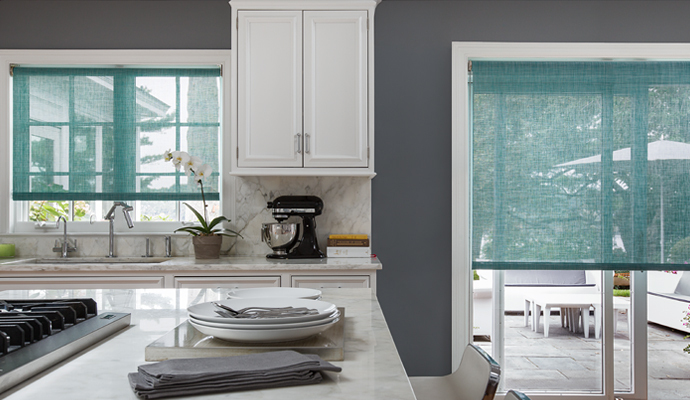 There you have it – 3 window treatment solutions perfect for your kitchen. If you have any questions, we’d love to chat with you! 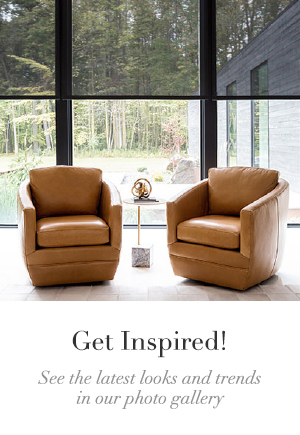 Just call, click or visit a showroom! «Drapery vs Curtains: What’s the Difference?